Take on grill time with winning confidence using an officially-licensed Spirit Series grill spatula. 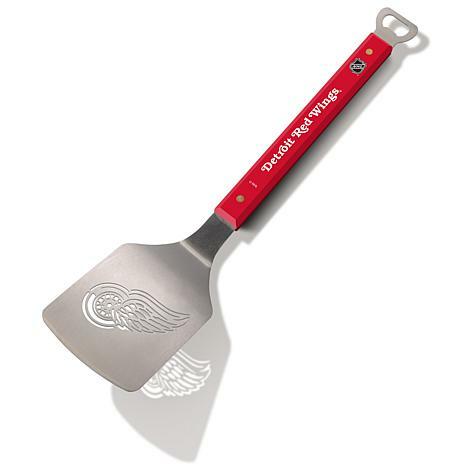 Your team's logo is laser-cut through the heavy-duty stainless steel blade and its name is stamped on the team-colored handle. An integrated bottle opener at one end adds the finishing touch. It's the perfect gift for any fan and the ultimate in tailgating accessories!